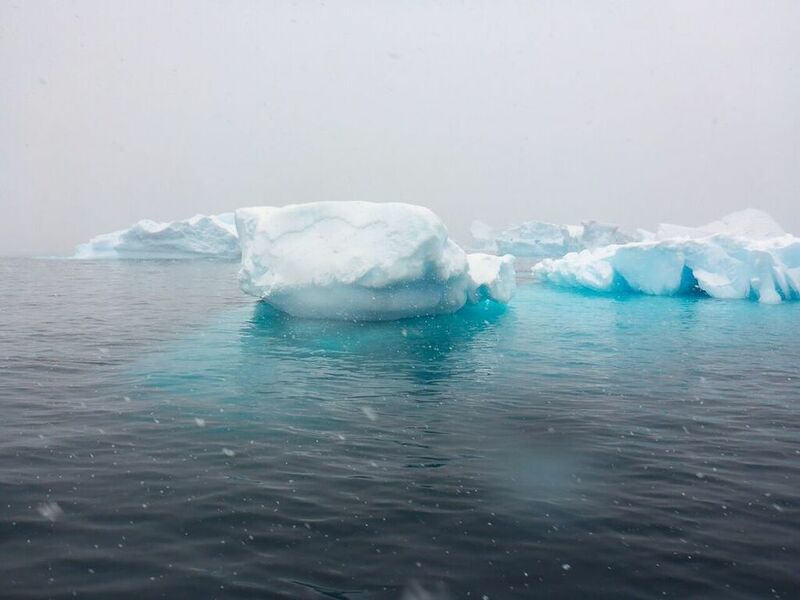 "THEY'RE NOW CALLING IT A CYCLONE," One Ocean Expeditions leader Boris Wise told our group of Antarctic voyagers during dinner on the Akademik Sergey Vavilov on November 12. "The winds are over 50 knots. We're heading right for the eye of it." Almost two weeks into our multi-stop trip from the tip of South America to Antarctica organized by the great British zoologist, wildlife photographer, writer and conservationist Mark Carwardine, Pamelia and I were getting close to the vast white continent—and also close to a massive storm, the second big blow of our voyage. 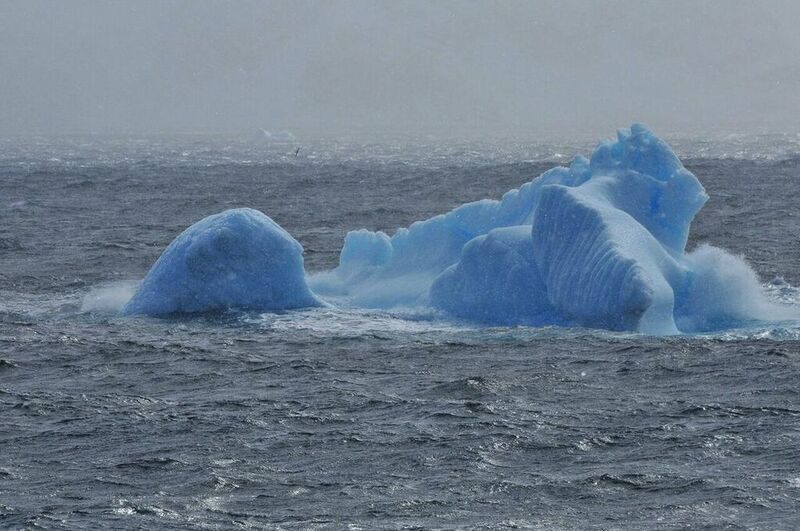 We were seeing the Southern Ocean at its classic best, meaning wildest, and none of the hearty souls on board the Sergey Vavilov was complaining. We all loved the adventure. Let me pause to offer these words of reassurance to any of you who may be intrigued by the idea of going to Antarctica but are seasickness-prone: I am too. I learned during this voyage to preload on Bonine motion-sickness tablets, stick to my bunk as much as possible in high waves and endure jolts of electricity on the underside of my wrist from an anti-seasickness wristband that helped me immensely. I never got seasick—just a little queasy—throughout as rough a voyage as any you'll experience. So don't be deterred. For three more days we rode turbulent seas—50-foot waves that dwarfed the 30-foot giants we'd gone through earlier—but thanks to deft navigating by our Russian captain, we avoided worse. At last we arrived at the South Shetland Islands, on Antarctica's doorstep. We now were in a world of icebergs. Pamelia was about to set foot on her seventh continent and I on my sixth. From every angle the towers of blue ice looked different. 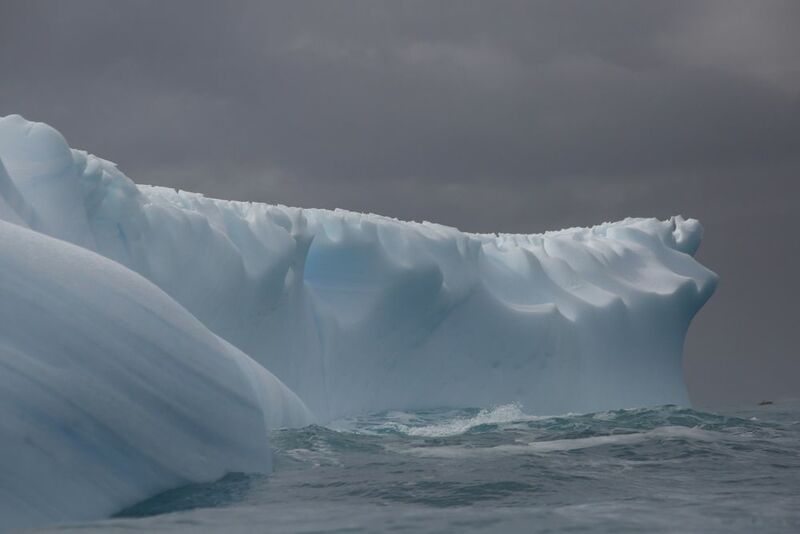 Much of the ice was many thousands of years old, compressed to a density and hardness that were hard to imagine. 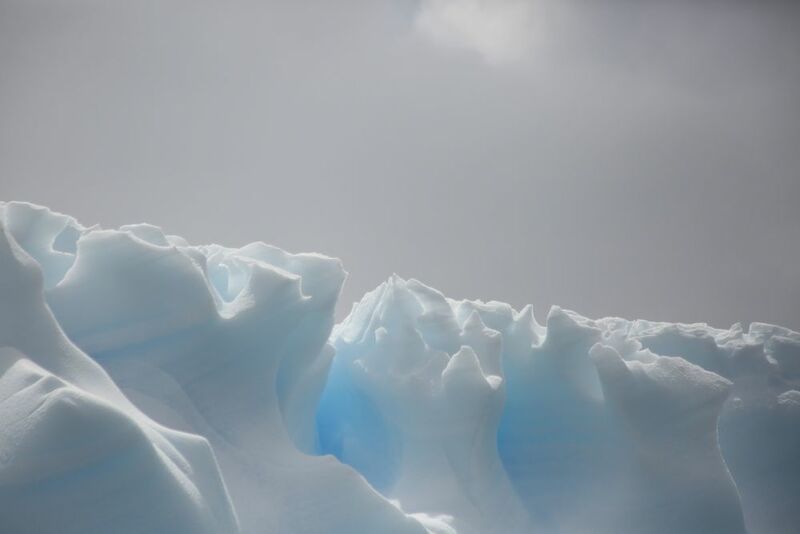 The next morning, November 14, we awoke to a 26-degree F air temperature, 30 mph winds and a 29-degree water temperature—the perfect Antarctic feeling for our expedition to Mikkelson Point, Antarctica. This would be the day Pamelia added her seventh continent. I'll let the photos below tell the story of yet another spectacular morning of exploration. Pamelia was ready to go as we waited to board Zodiacs for the ride ashore at Mikkelsen Harbor. She had been hoping for decades for a chance to set foot on Antarctica. The ride to Mikkelsen aboard Nate's Zodiac was bitterly cold, choppy...and spectacular. A lone Weddell Seal served as our Antarctic welcoming party. Weddells (named for British sealing captain James Weddell, who first saw them in the 1820s in the Antarctic waters now known as the Weddell Sea) have the most southerly distribution of any mammal. They're found only around Antarctica, and their range extends much farther south than the tip of the Antarctic peninsula, which we had reached. I've mentioned how quickly and dramatically the weather can change in the Antarctic. Here at Mikkelsen it never stopped changing, from blowing snow to wild clouds to sun and back. The beauty was overwhelming. The rolling terrain at Mikkelsen is home to breeding and nesting gentoo penguins, which were clustered in several spots. As I've written previously, the 30-inch-tall gentoos are the third-biggest species of penguin after emperors and kings. They're long-tailed penguins closely related two other species that we would unexpectedly see at Mikkelsen in the hours ahead—chinstraps and Adelies; in the course of evolution their genus broke off from those of other penguins 38 million years ago. As mentioned, the gentoos were mating. Gentoos lay two eggs, and males and females take turn (one per day) roosting on them for 34 to 36 days. Some of the gentoos already had laid eggs. Pamelia later painted an ink study of this battle royal. Later I'll show you the time-lapse video she created while painting it. This was an emergency hut—the first we'd seen on our trip through thousands of almost completely human-free miles. That is an Argentinian flag painted on the side, a reflection of the closest neighbor on the South American continent. These are snowy sheathbills, scavengers that we had seen near several earlier penguin and seal breeding grounds. They'll eat anything from afterbirths to feces, which perhaps explains why they seem to spend so much time cleaning and grooming themselves. I love this shot Pamelia took of a swooping sheathbill. Surprise! Suddenly a lone chinstrap penguin was wandering around. Chinstraps are slightly smaller than gentoos and loaded with personalty. The chinstrap and a gentoo passed each other without incident—or even acknowledgement. And who's this? An Adelie penguin popped up next—also a loner. Adelies were first seen in 1840 by French Antarctic explorer Jules Dumont d'Urville, whose wife was named Adelie. Adelies stand between 18 and 28 inches tall and have particularly long tails. Their numbers have been declining on the Antarctic peninsula (perhaps because of warming conditions and melting ice), but not (yet, anyway) in Antarctica as a whole. 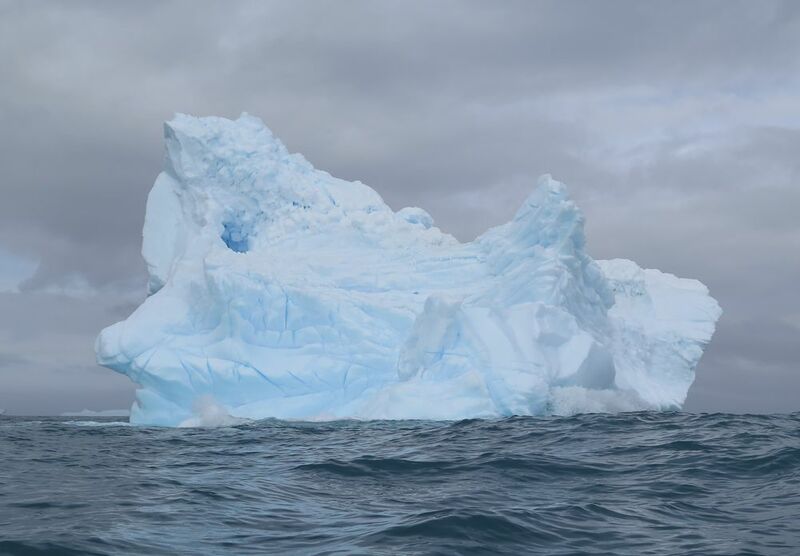 You may have seen the horrific news story in February 2016 that 150,000 Adelies on Cape Denison in Antarctica had starved as a result of a giant iceberg that had floated in and blocked their access to the sea. The penguins had to make a 75-mile round trip on land to get food. 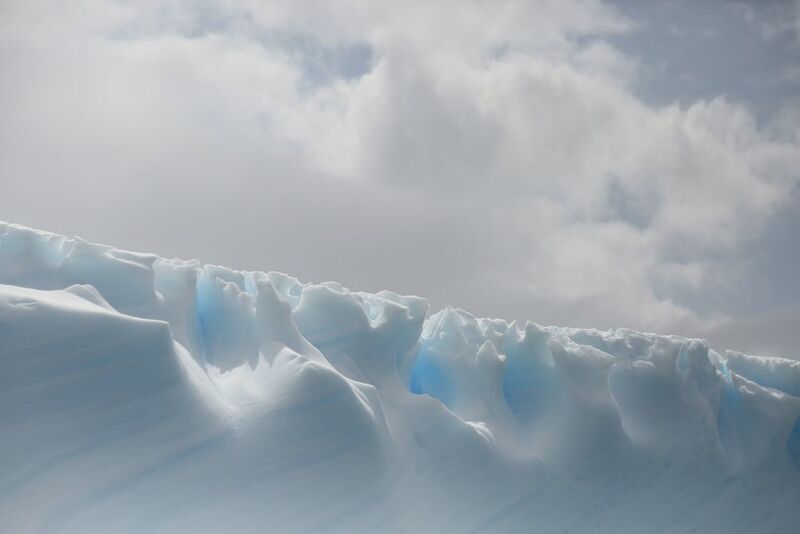 The consequences of melting ice in the Antarctic could be dire for the planet as a whole, but sometimes they are localized, sudden and unforeseeable. One of our new favorite birds became the blue-eyed shag, or cormorant. Pamelia took this amazing shot. As the morning began to wind down, we could see the Sergey Vavilov in the distance waiting for us. We hiked back past the gentoo encampments. As always, Charles Darwin was traveling with us and was exuberant about the naturalist discoveries he was making. He had become a regular on the ship and had even begun writing his own blog. Charles continues to explore the 21st century, and relive his life and career, as part of The Naturalist's Notebook team. Pamelia took a shot of me with some of my gentoo penguin buddies. Neither of us could fully absorb the fact that we were standing in Antarctica, the last wild continent left on Earth.